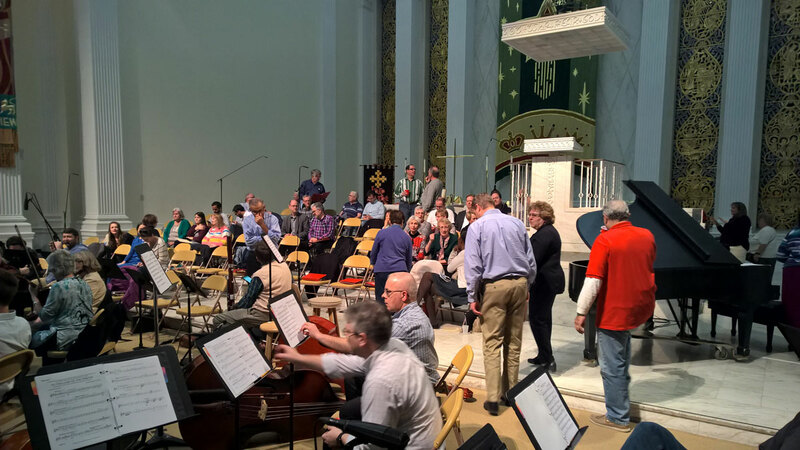 The vehicle of music was employed to great effect as the musicians of this years concert presented musical pillars of reason as to why we "Rejoice in Christ!" 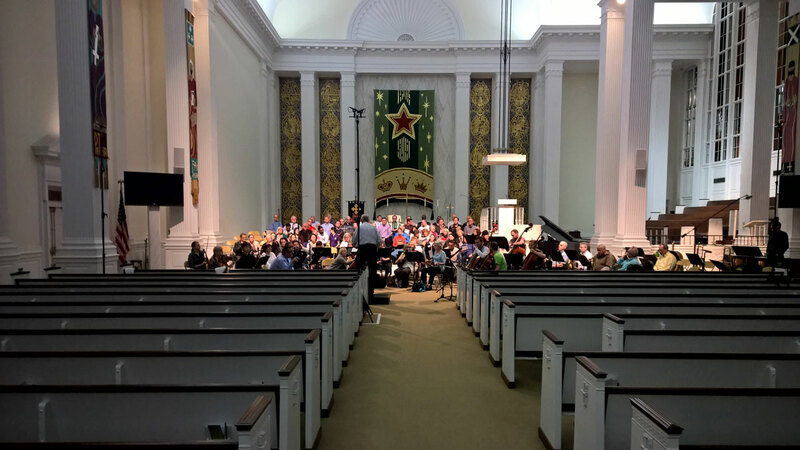 The concert was presented as the beginning of the next chapter in the "Power and Glory of God Through Music" concert series. In this concert was shown Christ as our Creator, Redeemer, and Savior, culminating in the best news humanity can be joyful about: Christ is our All. "Glory to God for the beauty of the earth! Raise your voices to the Lamb on the throne! O God beyond all praising, how great Thou art! You raise us up a mighty fortress. guide us, O Thou great Jehovah!" Part 1 - Rejoice in Christ, Our Creator! Christ called into existence a world of beauty, and also calls us family. As the Creator, we owe our lives to Him in every way. The program began with music of a joyous nature by Nikolai Rimsky-Korsakov, featuring words that were re-written to bring the tune back into the sacred realm. Following that, it was John Rutter's "For the Beauty of the Earth," a beautiful, light piece. Finally, the section finished with an original work by Rolf Lovland featuring soprano solo and ending in a grand way. Part 2 - Rejoice in Christ, Our Redeemer! The next section of the program began with a Dan Forrest setting of a traditional hymn text and musically elevated it to an astonishing, worshipful offering for the King of Kings. 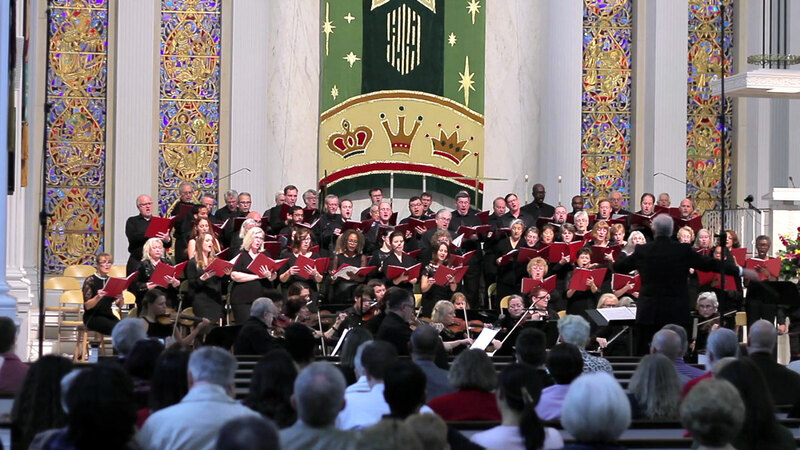 Featuring brass and organ and ending with thunderous melody, the piece, "To the Lamb on the Throne," elevated all present to new heights of praise. Following that, an excerpt from Tchaikovsky's "Manfred Symphony" was performed by the orchestra, a stark contrast to the previous work. This provided a musical expression of the anguish that sin introduces. Then to show the effect Christ our Redeemer brings to chaos and loss, the musicians sang "O God Beyond all Praising", an arrangement also by Dan Forrest. A lush and rich setting, the piece was as a musical balm. Part 3 - Rejoice in Christ, Our Savior! This section of the program began with an organ solo by Linda van Niekerk, who performed Dan Miller's "How Great Thou Art." Starting soft, the arrangement grew into towering sound, and through the might of the pipe organ illustrated nicely and truly how great Christ is. This was followed by an original arrangement of "You Raise Me Up," featuring the men of the choir with orchestra. A wonderful setting, it began quiet and ended with the reverberating, triumphant call we sing to Christ, "You raise me up!" Finally, this section ended with another Dan Forrest arrangement--A Mighty Fortress. Having lost none of it's punch since originally penned by Martin Luther, Forrest kicked it up a notch. Through thunderous organ, orchestra and voice, the piece reminded all present that Christ's kingdom is forever! Part 4 - Rejoice in Christ, Our All! Think on this: You have been saved! Not might be, or will be; the gift of salvation through Christ is yours now. It is a gift of infinite and immeasurable love that comes with a peace that passes all understanding. The last part of the program wrapped up the overall theme: Rejoice in Christ, our All! The section started with an arrangement of Stuart Hamblen's "Until Then." Building quietly to a grand finish, the words sung imparted an uplifting message: "This troubled world is not my final home." Finally, the program ended with an original arrangement by Mack Wilberg of "Guide Us, O Thou Great Jehovah." The piece truly pulled out all the stops, featuring not only full choir, orchestra, and organ, but also handbells played by the choir members. The last line of the piece summed up the program nicely: "Songs of glory unto Thee [Christ]." Bill served the First United Methodist Church of Orlando for 25 years as Director of Music and Worship Arts. There he administered a program of 14 ensembles and annually directed two concerts with full orchestra. Prior to Orlando, Bill held similar positions with churches in Fort Myers, FL; Wood River, IL; and Sioux Falls, SD. 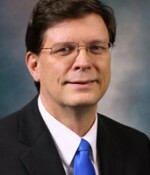 He holds degrees from Millikin University (BME) and the University of Illinois (MM). 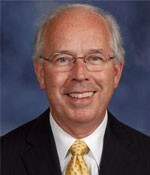 Previously, Bill served The Fellowship of United Methodists in Music and Worship Arts as national president and vice-president, as well as president of the Florida chapter. Leon Hauck brings with him 40 years of music performance and directing. He was the choir director at the Denver First Seventh-day Adventist Church for several years. He is also the director of Restoration, a vocal octet. He studied piano under Virginia Gene Rittenhouse for several years, and at the age of 17 placed first in the New England Piano Teachers Association competition. He is an active trombone player with the Markham Brass, as well as an active singer with Restoration. Rolf Løvland's first brush with composing came at the early age of nine when he formed his first band. From then on, and throughout his youth, music came to be his constant companion and focus in life. He later studied music at the Music Conservatory in Kristiansand – and continued his Masters Degree studies in music at the Norwegian Institute of Music in Oslo. Rolf earned himself a Norwegian Grammy Award and the reputation as Norway’s most successful popular songwriter, and has gone on to international acclaim as a lyricist and composer. "Inspiration is a guest that does not willingly visit the lazy." A fitting quote from such a prolific composer. Tchaikovsky's collective body of work constitutes 169 pieces, including symphonies, operas, ballets, concertos, cantatas and songs. Among his most famed late works are the ballets The Sleeping Beauty (1890) and The Nutcracker (1892). Rimsky works have many religious, liturgical, oriental and folk themes incorporated into his various styles of music. Rimsky explored with harmonies, rhythms and was brave enough to cut off from total westernization while cleverly incorporating its styles with traditional, or as he called it, ‘nationalistic’ music. Often he would take a commonly sung hymn of the time and re-work it, building upon the original work's base tune and exploring new ideas with it, incorporating his own unique flavor and style. Carl Stuart Hamblen was the son of a traveling Methodist preacher, and founder of the Evangelical Methodist Church. In 1931, and for 21 years thereafter, Stuart stayed on top of the popularity charts on the West Coast with his radio programs: "Covered Wagon Jubilee"; "Stuart Hamblen and His Lucky Stars"; and the "Cowboy Church of the Air". During this time he converted to Christianity, and wrote songs such as "Until Then." The choir this year was composed of members from the Markham Woods Seventh-day Adventist church in Longwood, First Methodist Church of Orlando, Spring Meadows Seventh-day Adventist church, Forest Lake Seventh-day Adventist Church Choir, members of the Men of Markham Woods men's chorus, the vocal octet Restoration, several out of state choir performers, and numerous friends from the Orlando community and surrounding areas. 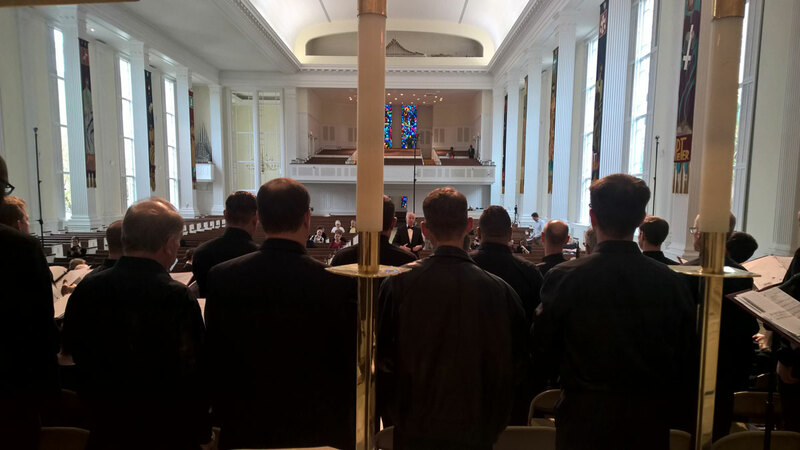 The concert provided a unique and exciting opportunity to blend the choral talents of many congregations, and the result produced amazing experiences for both choir singers and audiences alike. The concert this year provided a once-off exciting experience for the instrumentalists. Often an orchestra is composed of an established group. Here was blended several smaller groups, including members of the Orlando Philharmonic, the Markham Woods Brass, Sabbath Strings, and students and faculty from Forest Lake Academy, Lake Highland Academy, and numerous friends from the Orlando community and surrounding areas. Together with full pipe organ and handbells, the instruments for this years concert delivered a spectacular experience for performers and audience alike.